This morning I woke about 7.30 am and the others followed not long after. We had our usual in room breakfast of Pringles, cereal and coffee machine coffee with the addition of chips ahoy cookies this morning. We set off to magic kingdom just after 9am and arrived at the queue for the car park at 9.15, it took quite a while to get in and get parked and bag check took an eternity too, we finally entered the park at 10.15! 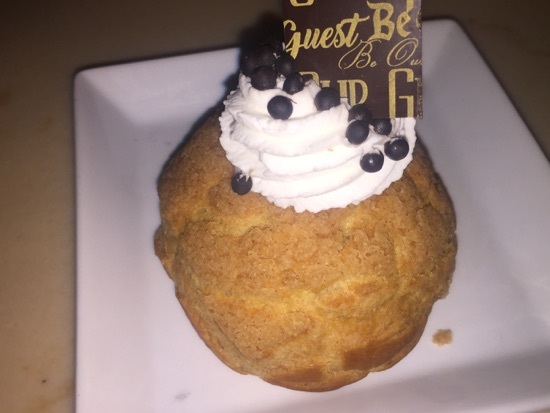 We made our way to our first fastpass which was Tomorrowland speedway, next up was our fastpass for the barnstormer and after a quick look round the big top shop it was time for our 11.30am lunch reservation at be our guest. We'd preordered our food the evening before so we were checked in, payed up and sat down in no time. 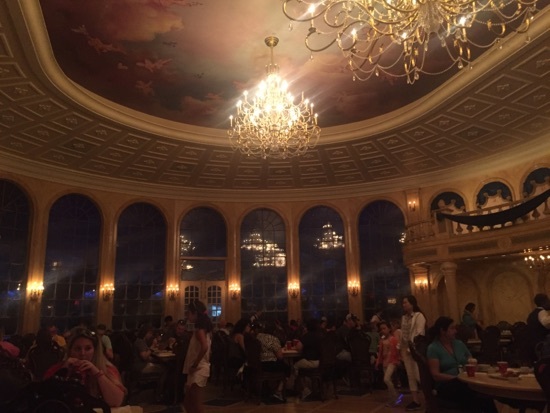 We initially thought about sitting in the west wing but it was far too dark so settled for a table in the ballroom, our food was brought out quickly. 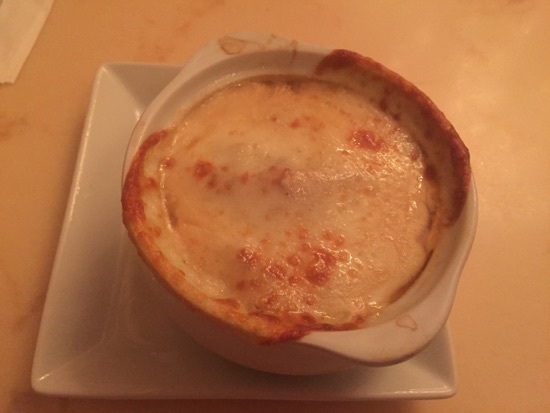 DH and I had the French onion soup, this was absolutely delicious with loads of cheese on top. 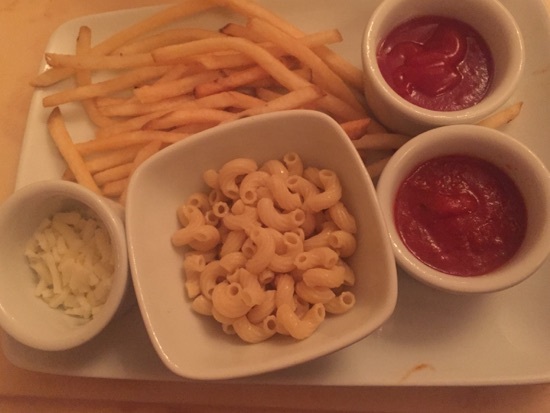 Dd had the kids pasta marinara and cheese which came with fries and a drink, she ate absolutely every bite so I'm guessing it must have been good! For dessert we all got a cake each, I had the triple chocolate cupcake which was chocolate cake, filled with chocolate mousse and topped with chocolate ganache, it was so rich but so good! 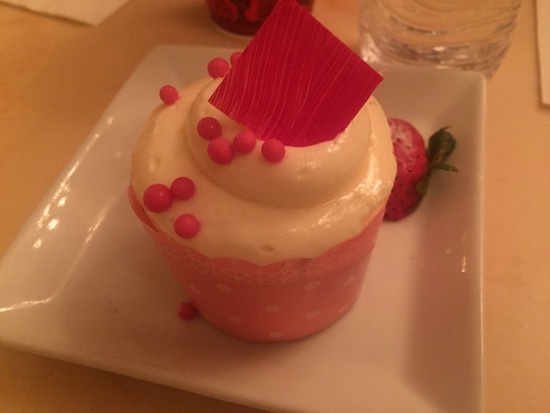 Dd had the strawberry cream cheese cupcake, this was quite sickly with the cream cheese topping but the strawberry mousse inside was lovely. 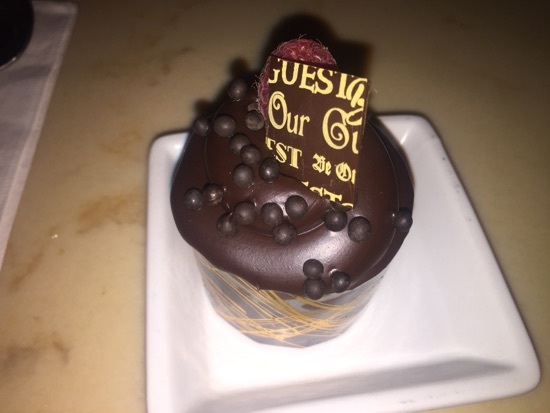 DH had the chocolate cream puff and enjoyed this. 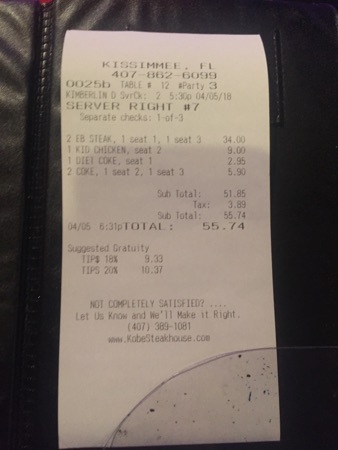 The total came to $38 but we all left totally stuffed. After lunch we headed for our third and final fastpass to meet Tiana and rapunzel, whilst in the queue I managed to secure a fastpass for dumbo. After this DD wanted to go for a splash in Casey Junior splash zone, it was such a warm day this was a great way to cool off. After a quick change of clothes for Dd it was time for our next fastpass for Ariel and then onto the carousel while we waited for our fastpass for the journey of the little mermaid. Considering it was so busy there was plenty of extra fastpass availability if you were willing to refresh a few times. We went for a look round momento Mori and a lovely cast member gave Dd a load of stickers in a box and one of each of the celebration badges, she was absolutely thrilled. It was then time for our it's a small world fastpass and after this we headed down to the park entrance for a final fastpass to meet tinkerbell before leaving magic kingdom at 4pm. Dd had been asking for eat at the restaurant where they cook the food in front of you so we drove down to kobe on the 192. 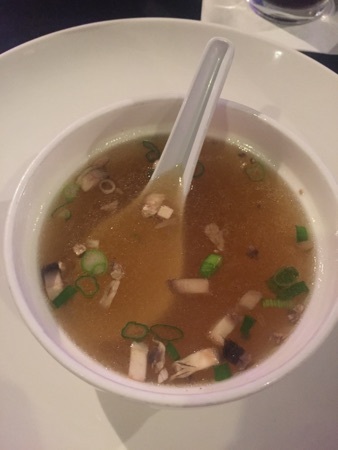 For the first course/starter they dish out a bowl of onion soup, yep second one today  This is nice onion broth with mushroom and onion in. 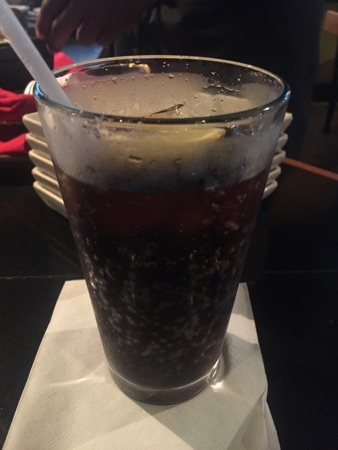 We all enjoyed this and it was gone in seconds. 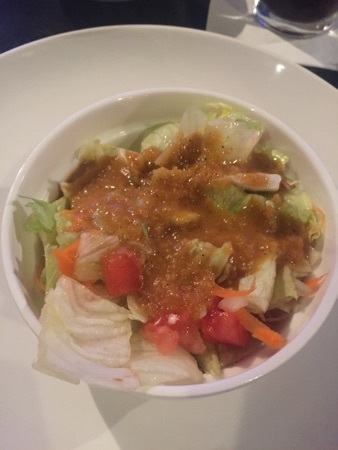 Next up was a mixed salad with a ginger dressing. The dressing looks disgusting and has an odd texture but tastes really nice. Dd didn't want hers so DH ate it. 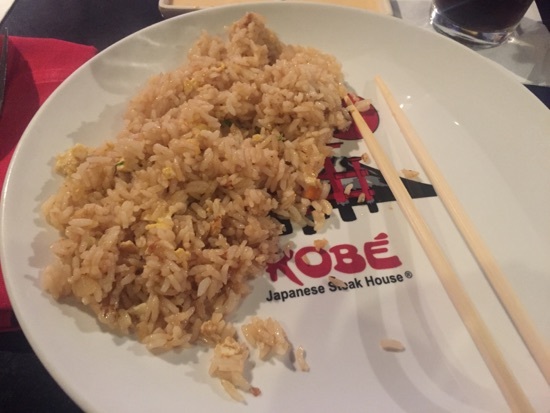 The main part of the meal is cooked and served in stages, first up is the egg fried rice with soy sauce, there was plenty of this served each, to put it to scale this is served on a normal sized dinner plate. 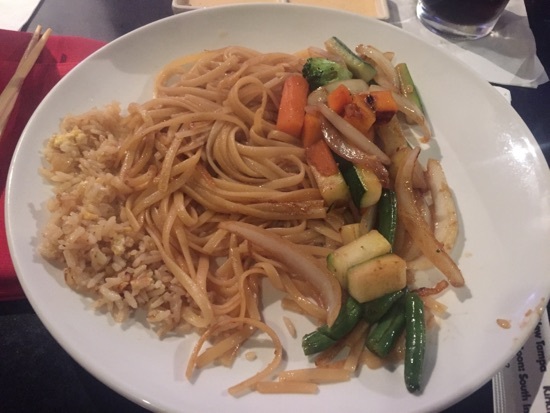 Next was the noodles, these were dished out first and then the vegetables served along side them. Any that was left over after been portioned out was offered to everyone as extras, I didn't have any as I wanted to save room for the meat! Then came the meat. DH and I had sirloin steak and Dd had the chicken. My steak was cooked medium rare and was really tender. We were served a dish of yum yum sauce and a dish of ginger sauce to go along side the mains, the yum yum sauce (kind of like garlic mayo) goes really well with everything. 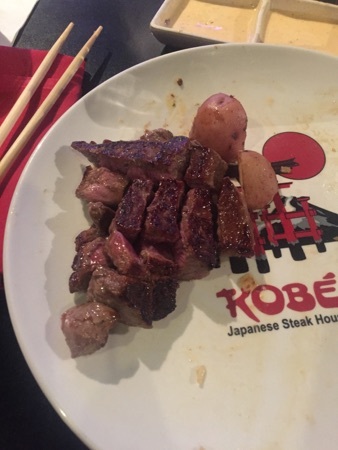 The piece of steak was 6oz and by this point was more than enough and I was struggling to finish with being so full! DD's chicken was so tender it just about fell apart, it was all seasoned really well so and was just delicious. 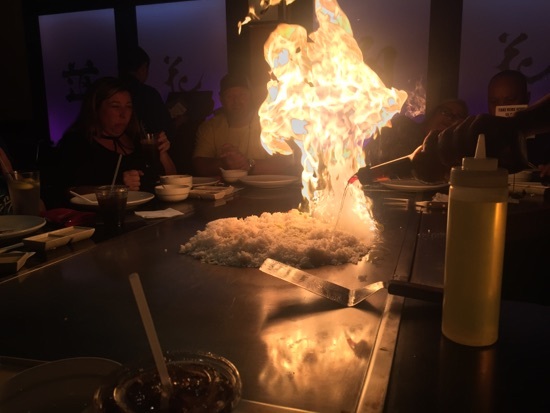 The total cost came to just user $56 and we were all absolutely stuffed when we left, this meal was every bit as good as any we've had at Teppan Edo and almost half the price, cannot recommend highly enough. After dinner we decided to go back to magic kingdom as it was open until midnight tonight. Entry was much quicker this time and we arrived into the park just after 7.15pm. 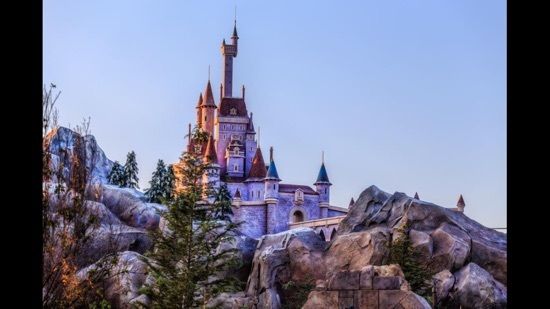 As we had been leaving earlier I had made a fastpass for enchanted tales with belle for this evening incase we fancied returning so we headed off up that way. We all love this attraction, it so cute how they get all the kids involved. Dd got picked to be chip (again) and she absolutely loved it as usual. We left and headed on over to the hall of presidents, this is the first time we've done this since the addition of Donald trump, we didn't think it was as good as the original but still really enjoyed it particularly because it was new. We were slightly taken aback by the presence of 2 Disney security people in the theatre for the duration of the show, presumably incase there is any trouble (!). 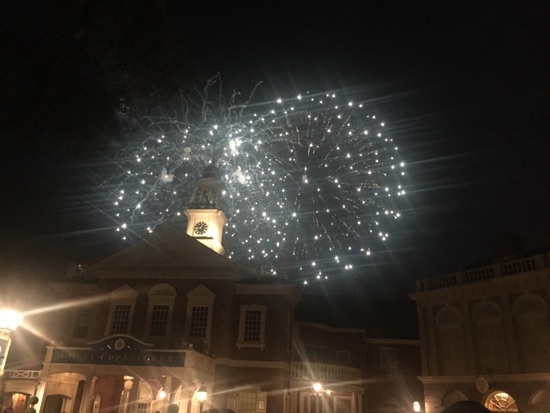 After the hall of presidents we came out the the fireworks, happily ever after, we stood outside the Christmas shop in liberty square and watched them. I definitely think they are frowning on me, last trip I was said to see the back of wishes and didn't know many of the songs in the new soundtrack anywhere near as well as I knew the wishes ones but definitely think this will become a favourite soon enough. Well done for getting so many extra fastpasses, makes the day so much better when you don't have to queue for everything. Just read through the rest of your day - what a brilliant day at Magic Kingdom, absolutely fabulous. New Photo Added by missdopey - 6 Apr 18 1:37 PM. 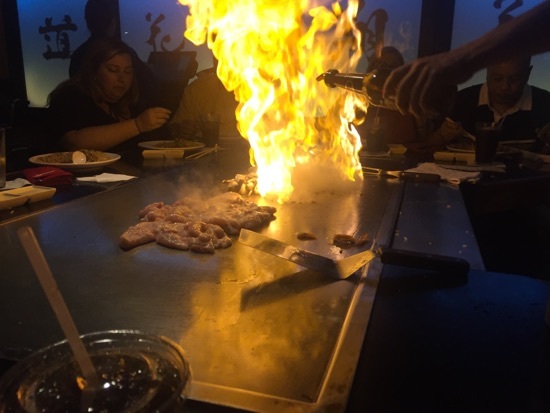 What a great meal at Kobe - I've often wondered whether it would compare to Teppan Edo, and it certainly looks like it does - and at half the price. Another great day. 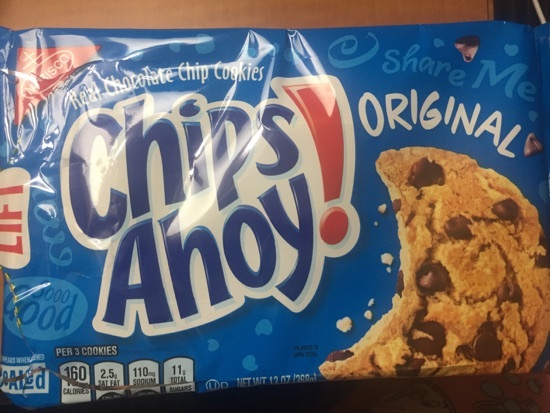 Chips Ahoy - my daughters favourites! You did loads today. Kobe looks nice. 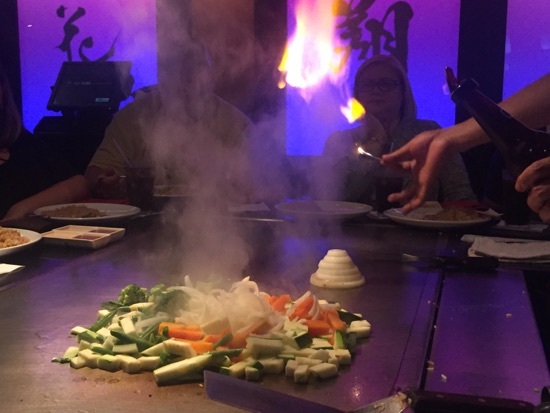 I've seen it mentioned but it's nice to see what the food looks like. 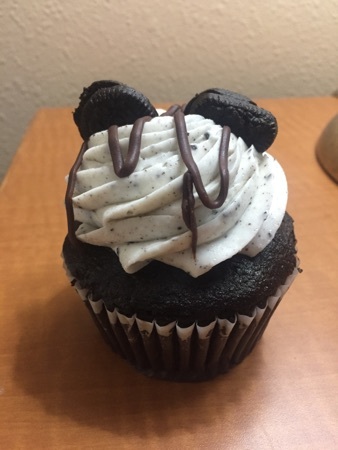 Loving your choice of breakfast for tomorrow!